A break from school doesn't need to mean a break from learning... especially when simple science experiments are so much fun. 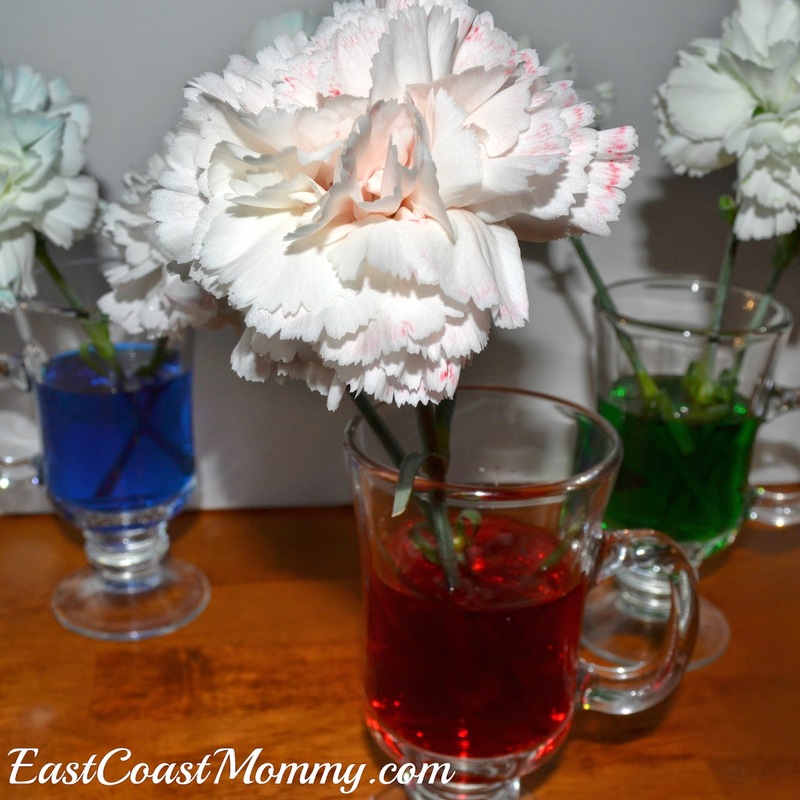 Check out this fantastic experiment I recently did with my boys - coloring carnations. 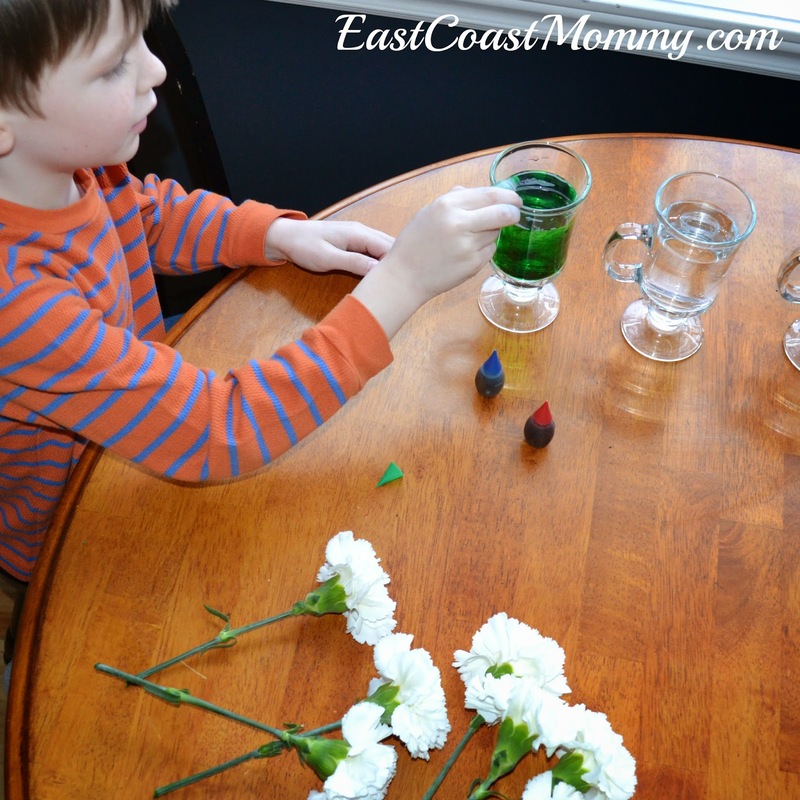 This is an easy experiment that teaches kids about how flowers/plants absorb water. It's also fun for the kids to watch the flowers magically change color. 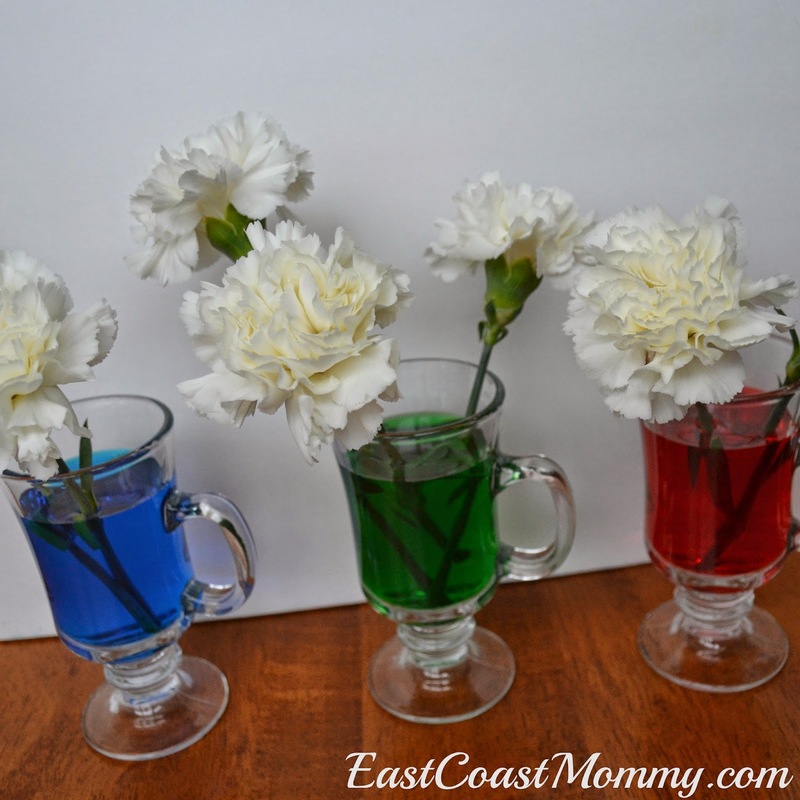 To do this experiment, you'll need: plain white carnations, glass containers, and food coloring. 2) Then, make a fresh cut to each of the flowers, and put them in the containers. After a few days, the flowers will start to change color. The kids will be able to see how the water (and the food coloring) travels up the stem of the flower and into the pedals. 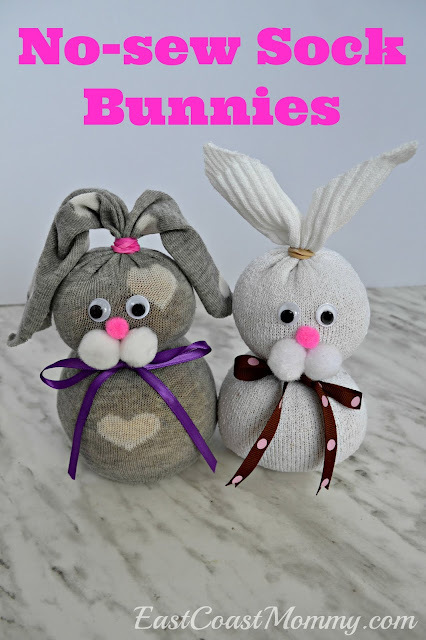 I love simple experiments that make kids curious about "how things work", don't you? 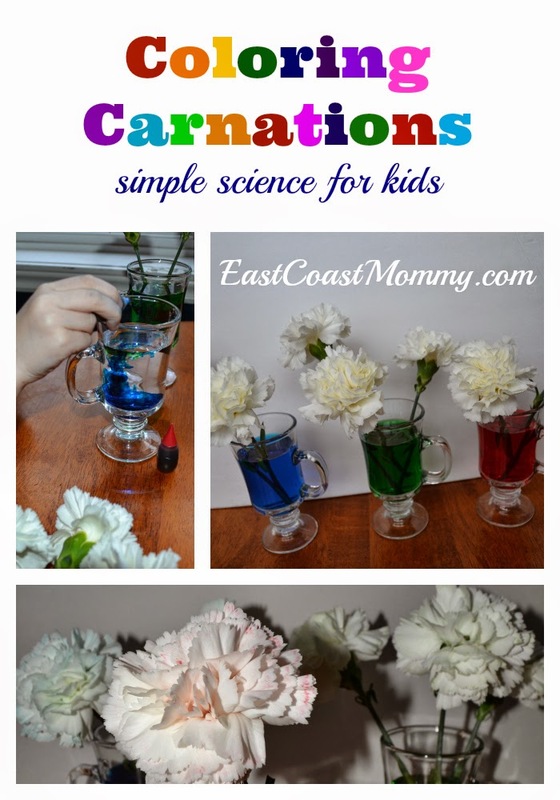 Have you ever done this colored carnations experiment with your kids?